What can I say, I roasted a tenderloin for New Years Eve, well actually the night before New Years, but yes, I was cliché. But there’s a reason why a tenderloin for New Years is cliché, it’s really really good every time…as long as you don’t overcook it. 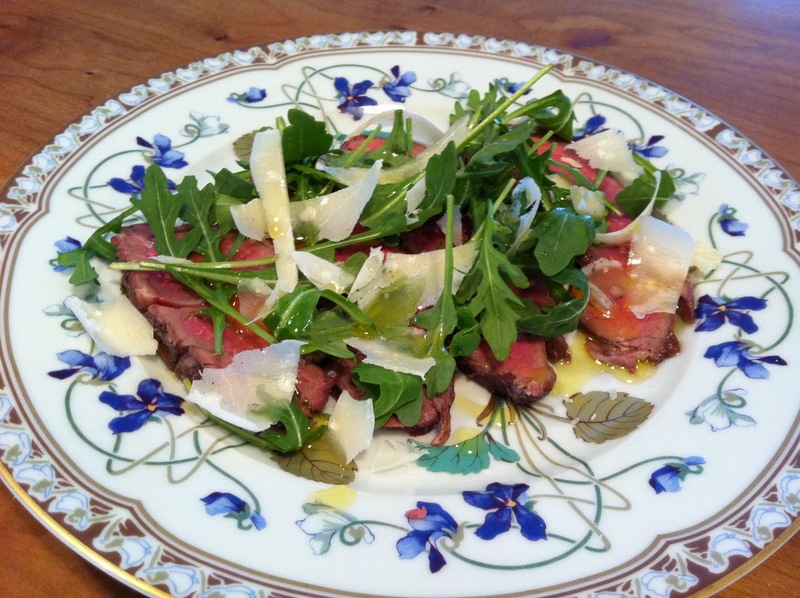 So when I saw the leftover very rare tenderloin in the fridge late Sunday morning I got very excited…Carpaccio. I put it in the freezer for half an hour to firm it up and sharpened my best knife. 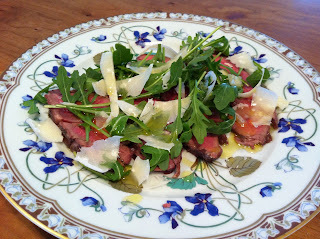 After slicing the beef as thinly as I could I covered the bottom of a chilled plate carefull not to overlap the slices then topped them with some coarse salt, a little bit of arugula, a generous drizzle of extra virgin olive oil, and some shaved parmesan. An incredible way to bring in the New Year, can’t believe I had never served it before. Happy 2012!